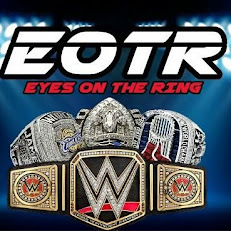 WWE usually has a feud between guys who are good enough to be world champions while the title is being defended elsewhere. This feud would mark one of those great times, and once we arrived to Fully Loaded, this match was highly anticipated. Chris Jericho had been insulting Stephanie McMahon for months. It got to the point where the insults would lead to Jericho being granted a WWE title shot from Triple H. Jericho would go on to win that match but would later have to surrender the belt due to a reversal of the decision. While Triple H and Jericho would go there separate ways for the time being, eventually they would link back up after HHH attacked Jericho to the point of bloodying him a few months or so down the line. Jericho would then show a more serious side to him leading up to this confrontation. This started out as a fight between these two with both men trying to keep the other guy down early. Jericho would show a far more aggressive side than we had seen to him at any point in his career. Jericho would bloody Triple H and then he would actually lock his wife Stephanie in the Walls Of Jericho. Triple H would then make the save and the fight would spill back outside. A suplex through the table would put both men down. Triple H would stand right before the count of ten, but he would fall back down right afterwards. Both men had to be carried out following the match. This match was perfect all around. Jericho would show he could get as tough as anyone on the roster when many saw him as an entertaining highflier. Triple H would sell Jericho’s offense perfectly. The chemistry between these two men never fails, but this was hands down their best match together and the best match on this stacked card. Jim Ross played up Jericho’s toughness to the tee and this match made a lot of those unfamiliar with Jericho’s work before WWF even more intrigued by him. 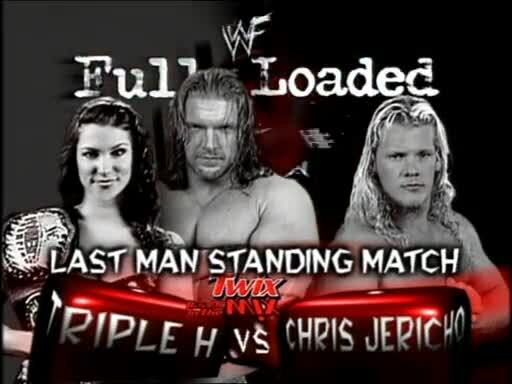 Even though Triple H won, this match was more about Jericho becoming a star. After missing out on the Wrestlemania main event that year, Jericho showed he was destined to be great anyway.